SAN FRANCISCO -- As a teenager working for his dad's construction business, Noah Ready-Campbell dreamed that robots could take over the dirty, tedious parts of his job, such as digging and levelling soil for building projects. "We need all of the robots we can get, plus all of the workers working, in order to have economic growth," said Michael Chui, a partner at McKinsey Global Institute in San Francisco. "As machines do some of the work that people used to do, the people have to migrate and transition to other forms of work, which means lots of retraining." Workers at Berich Masonry in Englewood, Colorado, recently spent several weeks learning how to operate a bricklaying robot known as SAM. That's short for Semi-Automated Mason, a $400,000 machine which is made by Victor, New York-based Construction Robotics. The machine can lay about 3,000 bricks in an eight-hour shift - several times more than a mason working by hand. SAM's mechanical arm picked up bricks, covered them with mortar and carefully placed them to form the outside wall of a new elementary school. Working on a scaffold, workers loaded the machine with bricks and scraped off excess mortar left behind by the robot. The goal, said company president Todd Berich, is to use technology to take on more work and keep his existing customers happy. "Right now I have to tell them 'no' because we're at capacity," he said. Bricklayer Michael Walsh says the robot lessens the load on his body, but he doesn't think it will take his job. "It ain't going to replace people," Walsh said. The International Union of Bricklayers and Allied Craftworkers isn't too concerned that robots will displace its members anytime soon, according to policy director Brian Kennedy. "There are lots of things that SAM isn't capable of doing that you need skilled bricklayers to do," Kennedy said. "We support anything that supports the masonry industry. We don't stand in the way of technology." The rise of construction robots comes as the building industry faces a severe labour shortage. A recent survey by the Associated General Contractors of America found that 70 per cent of construction firms are having trouble finding skilled workers. "To get qualified people to handle a loader or a haul truck or even run a plant, they're hard to find right now," said Mike Moy, a mining plant manager at Lehigh Hanson. "Nobody wants to get their hands dirty anymore. They want a nice, clean job in an office." At his company's mining plant in Sunol, California, Moy is saving time and money by using a drone to measure the giant piles of rock and sand his company sells for construction. The autonomous quadcopter can survey the entire 90-acre site in 25 minutes. Previously, the company hired a contractor who would take a whole day to measure the piles with a truck-mounted laser. The drone is made by Silicon Valley-based Kespry, which converts the survey data into detailed 3-D maps and charges an annual subscription fee for its services. The startup also provides drones and mapping services to insurance companies surveying homes damaged by natural disasters. "Not only is it safer and faster, but you get more data, as much as ten to a hundred times more data," said Kespry CEO George Mathew. "This becomes a complete game changer for a lot of the industrial work that's being accomplished today." At Built Robotics, Ready-Campbell, the company's founder and CEO, envisions the future of construction work as a partnership between humans and smart machines. "The robots basically do the 80 per cent of the work, which is more repetitive, more dangerous, more monotonous," he said. "And then the operator does the more skilled work, where you really need a lot of finesse and experience." 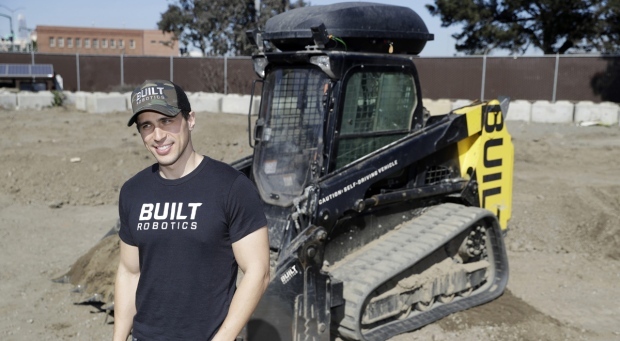 Built Robotics recently used its automated bulldozer -- retrofitted with sensors and autonomous driving technology -- to grade the earth on a construction site in San Jose. The project allows the startup to both test its technology and generate some revenue. "I'm very excited about where autonomous machines could be used in our industry," said Kyle Trew, a contractor who worked with Built Robotics on the San Jose project. 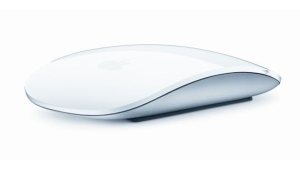 "Hopefully I can use this as a tool to get an edge on some of my competitors." Associated Press writer Peter Solomon Banda contributed to this report from Englewood, Colo.